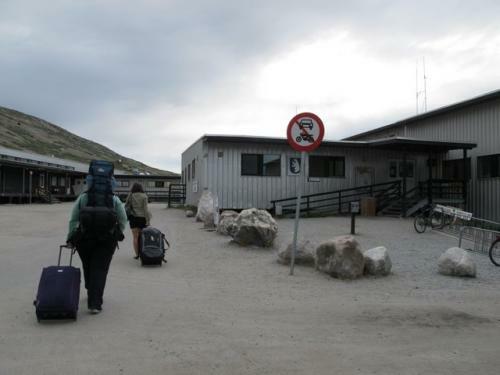 Taking bags to the Kangerlussuaq airport. Photo by Laura Lukes, 2011. Rebecca reluctantly says goodbye. Photo by Laura Lukes, 2011. 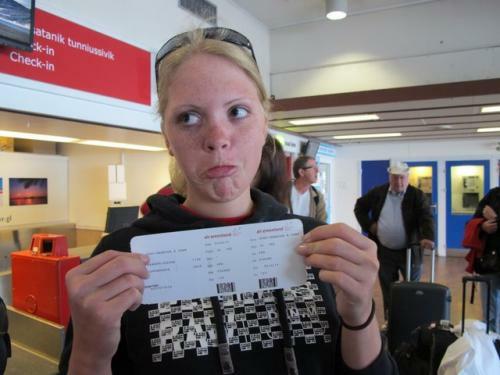 Saying goodbye to the Danish students. Photo by Laura Lukes, 2011. 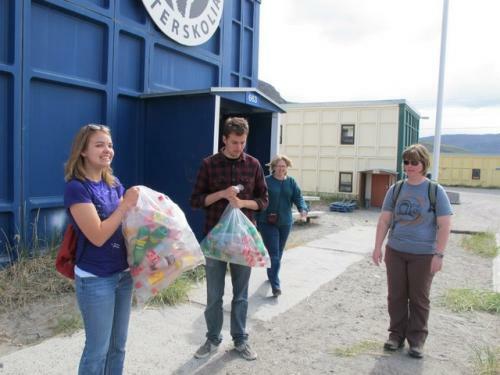 Recycling pays in Greenland! 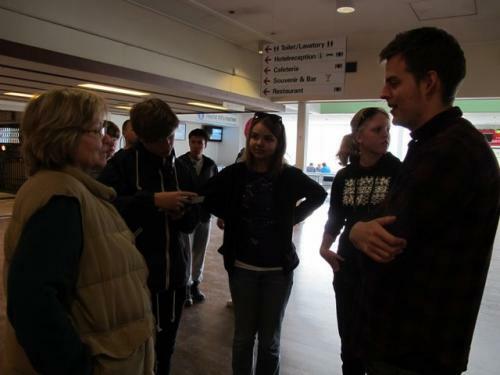 Jeannie and Vince earn 150 Danish Kroner (about $50)! 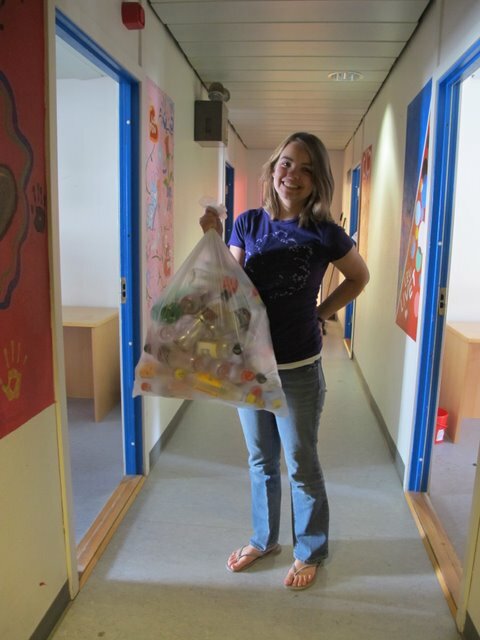 Photo by Laura Lukes, 2011.